Imo State Chapter of Federation of Igbo Youths has backed the #Nottooyoungtorun Sponsor, Hon Tony Nwulu as the Next Governor of Imo State. 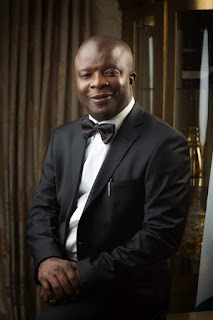 According to them, the 38-year-old governorship aspirant is the only one who can represent the interest of the youth and defeat any candidate of the All Progressives Congress, APC. The group said Imo Indigenes have since lost faith in the APC-led State Government. "Only a man of known performance and integrity like Hon Tony Nwulu can readily appeal to the electorate during the 2019 Gubernatorial election. "Now that the ruling party has demonstrated its inability to offer better governance, PDP cannot afford to seek the trust of Imo Indigenes once again with any serial Gubernatorial Candidate that is bogged down by divisive tendencies, moral burden and encumbered by other inanities. What the state needs at this time of untold economic hardship and insecurity is a much younger governor who is fresh with new ideas and innovative concepts and Hon Tony Nwulu is the only way out in 2019 especially with his proven achievements." He appealed to the people of the state to give Hon Tony Nwulu their support, adding that it was only by so doing that the state would grow faster. Insecurity in the state has chased Imo State Indigenes in Diaspora from returning to invest in their beloved state and we know Hon Tony Nwulu can fix that issue. The group also applauded the House of Reps Member Representing Oshodi-Isolo Federal constituency 2, Hon Tony Nwulu for embarking on several projects for his constituents and for sponsoring the Not Too Young To Run Bill in the house, which is geared at increasing youth participation in governance and for the developments in other sectors like Attracting Investors in his constituency.